A few weeks ago I interviewed my lovely Parisian friend Clotilde about her brilliant new Cookbook ‘Tasting Paris’. What are the 5 ingredients no self-respecting Parisian would ever be without? A hunk of Comté cheese, artisanal bread from the corner bakery, fresh vegetables from the produce stand, a few tins of sardines, a bottle of wine chilling in the fridge. When I first met my Irishman he thought I was a little crazy when I told him I always had to have lemons in the fridge. I was also brave enough to let him know about my phobia of running out of loo paper which he also shared. I knew then that he was the one for me. My go-to cheese for cooking or snacking and because it lasts forever in the fridge. The Low-Carb answer to a hunk of bread from the artisinal bakery! I always have multiple types of nuts in the house. At the moment there are pine nuts, almonds, cashews, peanuts, walnuts, pecan and macadamias. I know. When the vegetable section of my fridge starts looking sparse, I immediately plan a trip to the farmers market. And while I love having lots of amazing seasonal vegetables at my finger tips, having my back up of frozen peas and spinach has been a life-saver on more than one occasion! Wow sticking to 5 is hard! So I’d also add onions, eggs, tahini, a jar of sauerkraut or kimchi, home made yoghurt and linseeds (from my great Stonesoup fiber experiment). ps. Struggling with Healthy Eating? Then check out The SVCS. 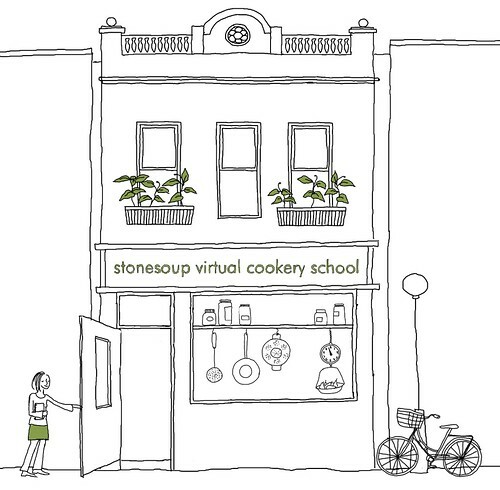 It’s an online cooking school that helps you eat healthier by using a simple approach to cooking and habits. 5. Vegetables – fresh and/or frozen. Still working on convincing my kids to eat more of these and more varieties…. My five things are: 1) greek full-fat yogurt; 2) kerrygold butter; 3) a freezer-full of vegetables; 4) inumerable varieties of pasta; and 5) parmesan cheese . . . and of course, I cannot stick to 5 either, so have to have eggs and bacon, as well. I like your list. It’s very similar to mine. But, being married to an Italian, fresh garlic is an absolute must. I’m really trying to figure out or remember how to use lemons in recipes. I was not raised with any lemons in the house. I buy them in a bag, and I must admit, some of them aren’t used before spoiling. I love cheese, all kinds of cheese. Anything that makes up a salad is essential – all kinds of greens, and nuts I can make a meal of. I find your recipes so helpful because we’re trying our best to eat healthy, plant based meals. Love that you have an Italian Barb! With lemons I use the juice in sauces or dressings. But mostly I squeeze on at the end. Especially great to give vegetables a lift! My things I keep in the house are the same as yours – but minus the sardines. I always try to keep coconut milk, as well as beans and grains, especially oats, since I make granola on a regular basis, and like overnight oats for breakfast.